RealEstateRama Tags Posts tagged with "conference"
“Stop Blogging! How To Build A Hyperlocal Content Machine” is the compelling title of the session that DC area real estate industry promoter, marketer and influencer Heather Elias will co-present at Inman Connect at the San Francisco Hilton, August 7-11, the nation’s largest real estate technology conference. The National Institute of Building Sciences Building Enclosure Technology and Environment Council (BETEC) and the Building Enclosure Council – Philadelphia invite you to submit abstracts for papers by August 1, for presentation at the fifth BEST Conference Building Enclosure Science and Technology™ (BEST5), to be held April 16 – 18, 2018, at the historic Loews Hotel in Philadelphia, Pennsylvania. Showcasing how real estate data distributed through innovative mobile apps and new advances in digitizing the real estate transaction, 20 top real estate technology firms competed in the Real Estate Standards Organization (RESO) “Show N Tell” recently in Nashville. USGBC, conference partner of the 2016 Green Building Expo, announced today that Kay Killmann, president of the German Green Building Association (GGBA) and USGBC’s official business and education partner in Europe’s largest LEED market, will keynote the event. 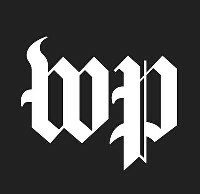 Ranking Member of the Senate Energy and Natural Resources Committee Maria Cantwell (D-Wash.) welcomed the release of a new report from the National Academies of Sciences, Engineering and Medicine on innovation for clean energy. Achieving community resilience relies on the engagement and action of numerous stakeholders—from commercial and residential building owners to utilities and government leaders—and offering incentives provides a powerful mechanism to encourage tough decision making. At Building Innovation 2016: The National Institute of Building Sciences Fourth Annual Conference & Expo, Achieving a Resilient Future, to be held January 11-15, 2016, in Washington, D.C., participants will examine the multiple incentive packages available to these audiences to advance investment in mitigation and resilience. If you’re interested in any aspect of environmental compliance or sustainability on a construction jobsite, this is the conference for you. Learn from industry experts and your peers at AGC’s 2015 Contractors Environmental Conference on September 2-3 in Arlington, Virginia. It’s only six weeks away, so click here(link is external) to reserve your spot today. At AGC of America, we know how important maintaining professional credentials are to those who hold such designations. Therefore, AGC’s Construction HR & Training Professionals Conference will offer opportunities for HR, training and workforce development professionals to earn recertification credits from the HR Certification Institute (HRCI). On July 8, 2015, the Conference Committee released its recommendations for the FY2016 State Budget(link is external). The Legislature adopted the $38.1 billion budget and sent it to Governor Baker for his consideration. The Governor has ten days to sign or veto portions of the budget. During Building Innovation 2016: The National Institute of Building Sciences Fourth Annual Conference & Expo, January 11-15, 2016, in Washington, D.C., the Institute will engage the entire building community in developing solutions for Achieving a Resilient Future. Through two collaborative tracks, the Conference will examine efforts underway within multiple segments of the industry to facilitate discussions on different facets of the built environment and develop coordinated strategies for resiliency. Homelessness in America is a profound demonstration of our country’s failure to ensure safe, decent and affordable housing for all. Whether the people experiencing homelessness are adults or children, whether they are doubled up or living on the streets, public policy should address their needs. Only in recent years has public policy to end homelessness begun to show consistent results through a carefully targeted use of a housing first model. The Conference Board Leading Economic Index® (LEI) for Australia declined 0.3 percent and The Conference Board Coincident Economic Index® (CEI) increased 0.1 percent in April. The Building Owners and Managers Association (BOMA) International will offer an extensive educational program and unparalleled professional development opportunities at the 2015 BOMA International Annual Conference & Expo, which takes place June 28-30 in Los Angeles. Each year, the Administrative Conference of the United States (ACUS) bestows its Walter Gellhorn Innovation Award to a federal agency with the best model practice that can be adopted government-wide. 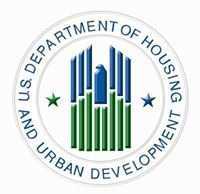 Today, ACUS announced that the 2015 Walter Gellhorn Innovation Award is being presented to U.S. Department of Housing and Urban Development's Rebuild by Design Competition.